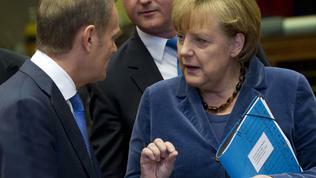 One of the pieces of news in the proposals, which the Merkel-Sarkozy tandem proposed on Monday is the peremptory tone. In fact, the proposals are not new in their essence but the tone is different. It is explicitly pointed out that the proposed measures would be good to be implemented by all EU member states but if that was impossible to be done, then they should remain for the eurozone in any case. The two leaders sent their proposals to European Council President Herman Van Rompuy, asking him to prepare them in the needed format to be ready for the EU summit on Thursday and Friday. And if before such an approach used to cause irritation in many member states and still is annoying the European Parliament, now all expectations are directed precisely to Germany and the Franco-German motor to take the euro area out of the crisis. More than 60 years ago Winston Churchill held a key speech during a visit to the Unites States, outlining the "special relations" between the US and Britain. 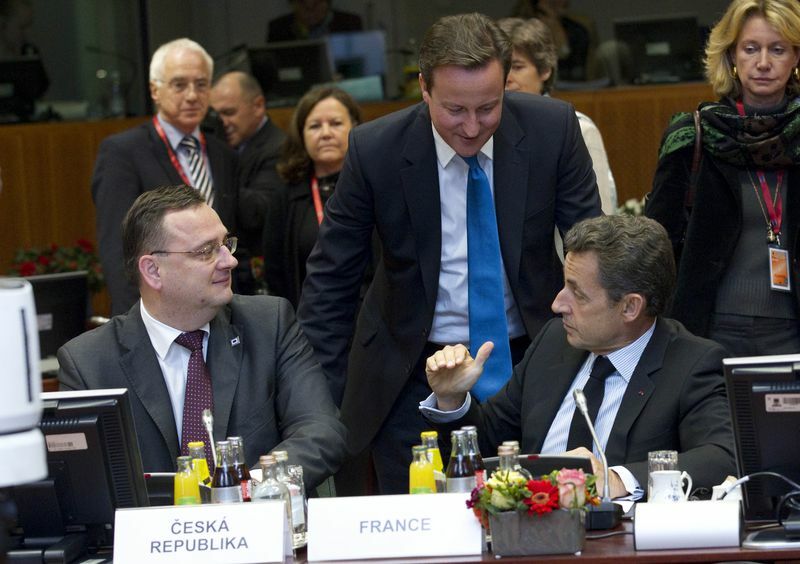 At the moment Britain has special relations with the EU too. This is the country with most opt-outs from the European legislation, it is not a member of the eurozone, it constantly defends its own interest and rarely is moved by euro integration. With the deepening crisis in the eurozone, however, which is a main trading partner of the British, the government in London is forced to look for a solution. This is why David Cameron is one of the most vocal defenders of the unity of the euro area and the EU at large, in spite the fact that his party - the Conservatives - is firmly against any deepening of relations with Brussels. The constant calls for finding a solution to the crisis, for preventing contagion and giving recommendations how to proceed enraged French President Nicolas Sarkozy to such an extent, during the October summit, that there was an exchange of some not very polite remarks. 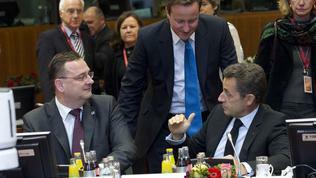 Then Sarkozy told Cameron that he could not lecture since he was not participating. The British point of view, however, is totally different. is the title of an article of the British PM, published in the Times on December 7. In it he responds indirectly to the criticisms why, without committing his country in any way to the rescuing efforts for the eurozone, he still insists measures to be undertaken for its survival. "But just as Germany and others have their requirements for treaty change to strengthen fiscal discipline, so Britain has its requirements for treaty change too. If we are changing the treaty that applies to all EU countries and allowing the eurozone countries to have new rules, it is also important that there are rules to keep the single market fair and open for key industries for Britain, including financial services". 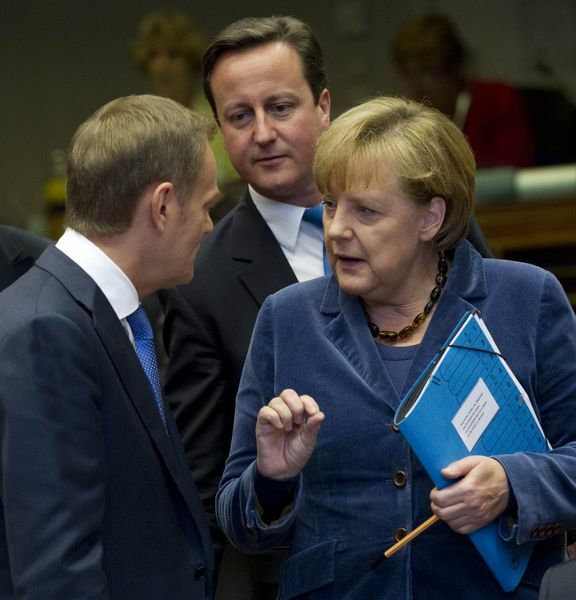 Mr Cameron does not object the eurozone to separate and create a treaty of its own and recalls that this happened before with the Schengen agreement and the new bailout mechanism of the EU, which Britain does not take part in. But to create a new treaty for the eurozone, by using institutions that belong to the EU, is something which Britain will not accept, Cameron writes. He has in mind the proposal the European Court to be able to decide whether the member states' national legislation guarantees in a binding way compliance with the permissible levels of debt and budget deficit. The Court, however, is owned by the EU member states. The British PM's tone is also quite peremptory, because he points out that "fundamentally, the problem with the eurozone is a problem of competitiveness, with countries that have large trade deficits coexisting with Germany, which has a huge trade surplus. These imbalances have to be addressed. Without this there will be no lasting solution. We fully support the eurozone's determination to reform its own rules and structures, but not if they are just papering over the cracks and threatening Britain's own interests in the single market", the prime minister writes. To a large extent Cameron's speech is directed to the internal public because the political and social pressure is growing on him because of the deteriorating economic indicators of Britain and the deepening of the crisis. There is a great danger, however, if he would keep this tone for the summit on Thursday and Friday to get another sharp remark from the tempered French president, whose nerves are barely holding after the credit rating agencies threatened several times the excellent AAA rating of France and on Monday the Standard & Poor's agency made a direct threat to all eurozone members. It is clear that Britain will have to increase the considerations of a plan B, because it is very likely the country's interests not to be taken into account by the leaders of France and Germany. In any case, the tone of this summit will be even sharper than usual because now it is about survival and the interests of the others will not be of any significance.